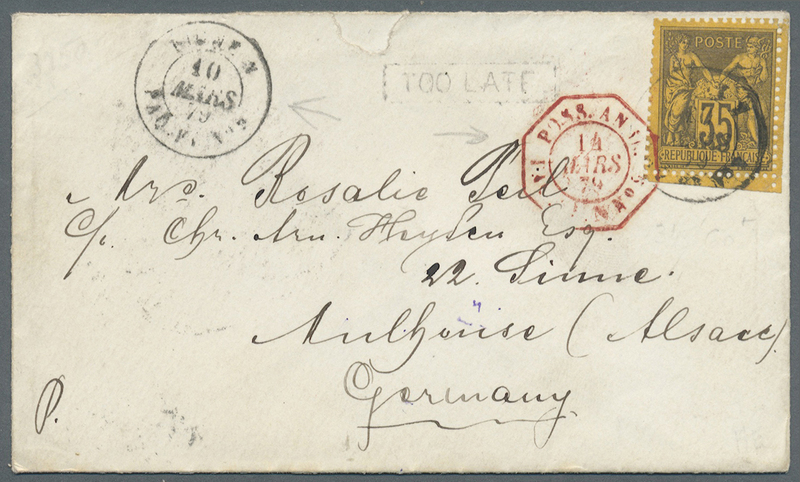 1879 (FRENCH MARITIME MAIL). 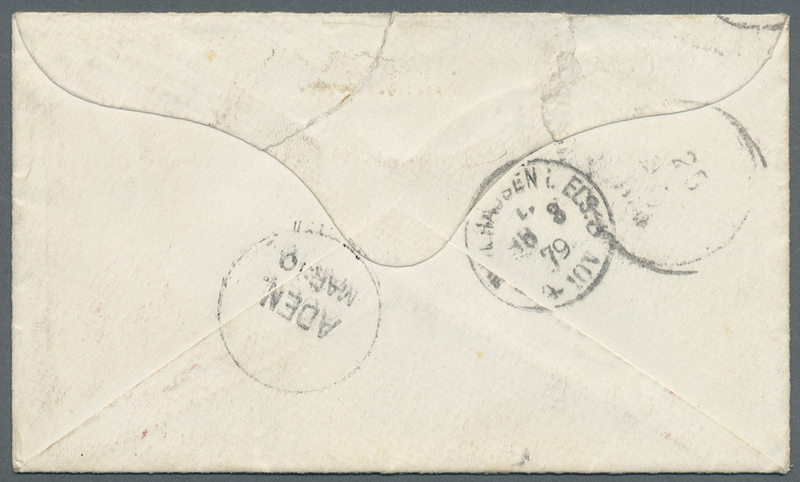 Envelope addressed to Mulhouse, Alsace bearing France Type Sage Yvert 93, 35c violet/yellow tied by French paquebot 'Ligne N Paq. Fr. No 9' date stamp (Salles 1921) with Aden 'Mar 10' on reverse with framed instructional 'Too Late' and octagonal 'Poss. Angl. Paq. Fr. N No 9' date stamp in red '14th Mars 79', on reverse Mulhouse receiver. Wonderful item of Too LATE mail from Aden with very rare French Paquebot in red. (See Salles Tome V, Page 99).